Most collections first arrive at an archive as a mixed up assortment of boxes and plastic bags, filled with all kinds of papers, books and objects. At first glance one could be mistaken for thinking that this was just a pile of rubbish on a journey to its final resting place at the bottom of a bin. However, what is contained within is important precisely because it has been saved from this fate. These items form a collection made up of records of transactions carried out by an individual or organisations, and through their place in the archive will go on to shape history and form collective memory for many years to come. While sorting through a collection at this stage some of the items might not seem especially interesting, but then sometimes something can pop up that can make you do a double take. That moment came for me with the Scottish Anti-Apartheid Collection when I came across ‘The Madiba Legacy’ Comics. A brightly coloured drawing of Mandela looked up at me from the pile of papers I’d been working through and for a moment I was thrown. As I lift up what turned out to be a comic I saw another below. 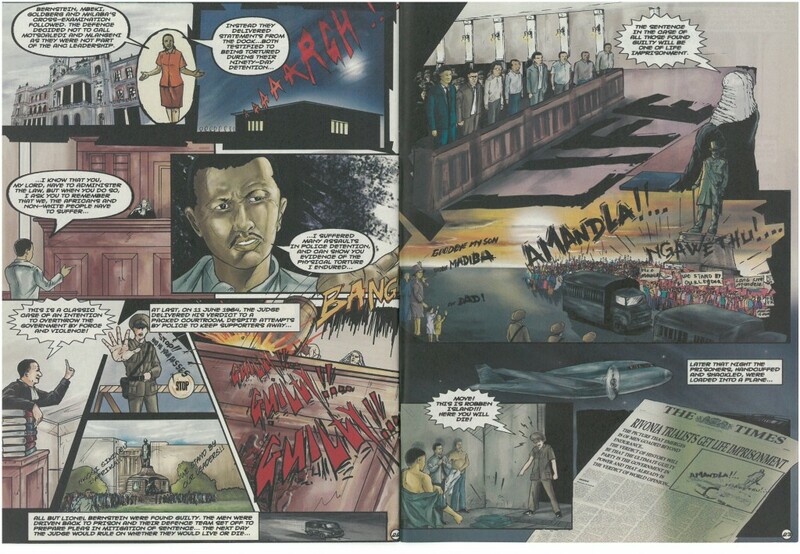 In fact I had come across a series of comics that had been officially produced to document Nelson Mandela’s life and achievements. Naively, I flicked through hoping for some light relief from the financial papers I’ve been working on. Yes, the drawings and colours sucked me out of the stacks and into the pages, but into an emotional roller coaster of a story. 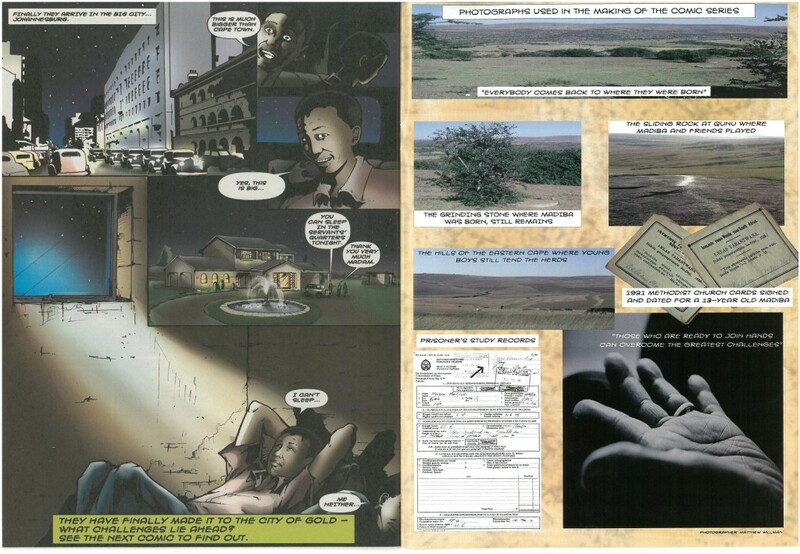 These comics were aimed at conveying ‘the seminal values of a free society and a sense of their own history to those beyond the reach of other kinds of written media because of poverty, illiteracy, geographic isolation, technological divides, and underdeveloped reading cultures.’ Indented to be used as a teaching tool in schools and with rural communities, they provide an engaging and accessible, yet historically accurate portrayal of Mandela’s legacy. 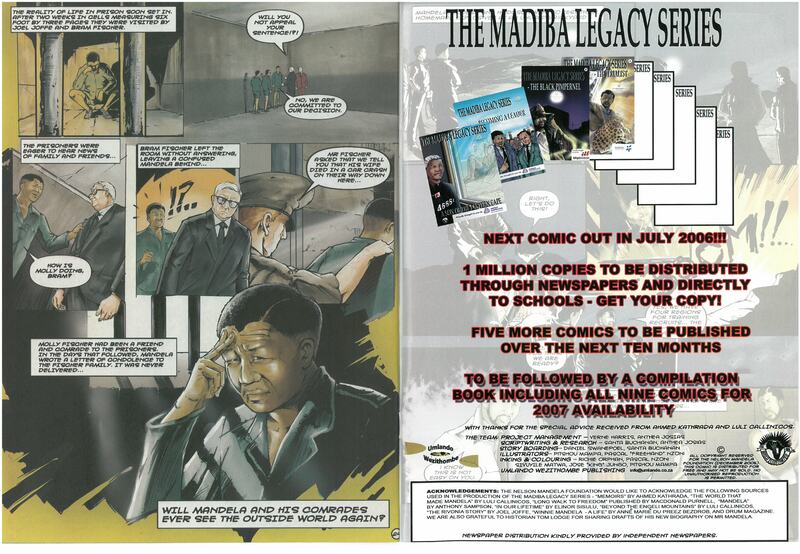 They are a fascinating series to have in the archive however sadly due to the date of publication, 2005, the comics will in sit alongside some papers from ACTSA Scotland (Action for Southern Africa, Scotland), the successor organisation to the Scottish Anti-Apartheid Movement. Therefore this will be my last chance to spend some time with them, but also gives me a chance to introduce the organisation ACTSA Scotland. ACTSA Scotland play a vital role in maintaining solidarity and the links formed between our nation and the states of the Southern African Development Community. 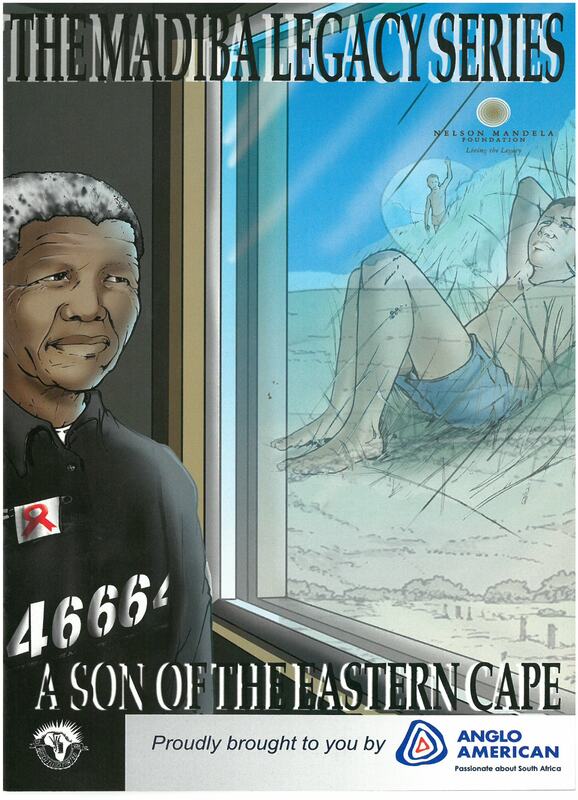 They hold events and celebrate important days, including Mandela Day which appropriately is almost upon us. On 18th July every year, on the date of his birthday, people across the world come together to celebrate and honour Nelson Mandela. The variety of events is huge, but the most important element is celebrating by ‘acting on the idea that each person has the power to change the world’. 67 minutes, a minute for each year of Mandela’s public service is volunteered by people for good causes, in a global act of solidarity. If you get a chance this Monday, try and knowingly give just a little over an hour of your day to any good cause. Everyone at Glasgow Caledonia University Archive Services would like to take this opportunity to wish everyone a happy Mandela Day for Monday. This entry was posted in Archives and Special Collections. Bookmark the permalink.